A comprehensive range of services are available and are described on the NHS Choices website here. Dial 999 if you have a medical emergency and need immediate medical attention. If you are able to make your own way to a Hospital, then for minor injuries then Malton Hospital is closest. For 24 hour coverage and major injuries then York Hospital is closest followed by Scarborough Hospital. If you require non-urgent medical advice then dial 111; they will provide you expert advice on what to do, who to contact and will make arrangements if they are required. 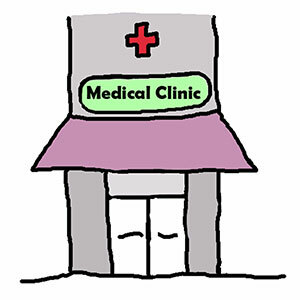 There are a number of local GP Surgeries available for your day-to-day medical care. You are free to register with whichever GP Surgery you prefer. Both NHS and Private Dentists are available locally and details are available on the NHS Choices Website. Travel to and from some medical appointments is available from the provider of the service, Ryedale Community Transport (Ryecat), Red Cross or Yorkshire Ambulance Service (YAS).